After coming home and blogging about Fleet Week on Staten Island and having a little dinner, I decide that it was still good enough outside that I should go and visit Carnegie Hall. Why? Cause I have never taken pictures of it yet and heck its there! So why not? 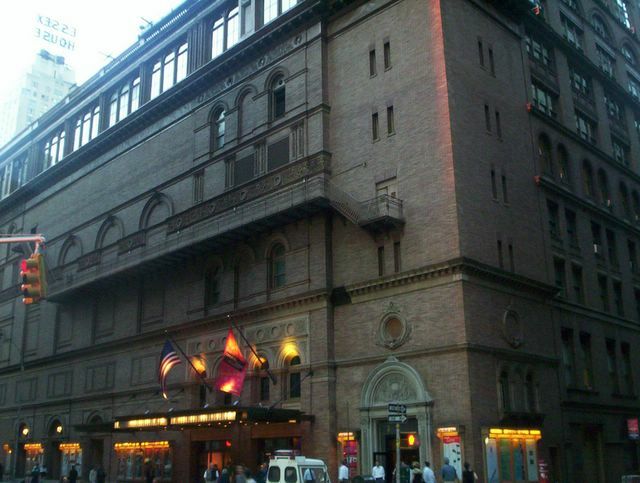 Carnegie Hall (57th Street & 7th Avenue in Manhattan). Well, the rest of the pictures I took, because of the sunset, didn't turn out and since I am new at Picasa I couldn't give them the proper emergency care to resuscitate them.